I so often wonder why women hurt each other so very much. I have experienced it at the hands of so called friends, I have inflicted it upon so called friends, I have watched my daughters stung by words and exclusion of so called friends, I witness it in the church and I don’t know a woman in the workforce who wouldn’t attest to the fact that women are hard to work for. Women, we are fierce and yet weak and insecure. We compensate by building walls or building up our own self-esteem at the expense of another’s. Last week I attended a women’s networking group for women in business. The topic? Negotiating. Great speaker. In fact she was a woman who had been through a deep spiritual experience as she sought to become the woman she wanted to be instead of the woman she was “posing” as. Where did the presentation go? Where it sadly goes so often-the harshness of women, our insecurity, our overcompensating. It was refreshing though to be in a room of women I didn’t know, all there for “business” purposes, but all seeking wisdom on how to do life better, be better. 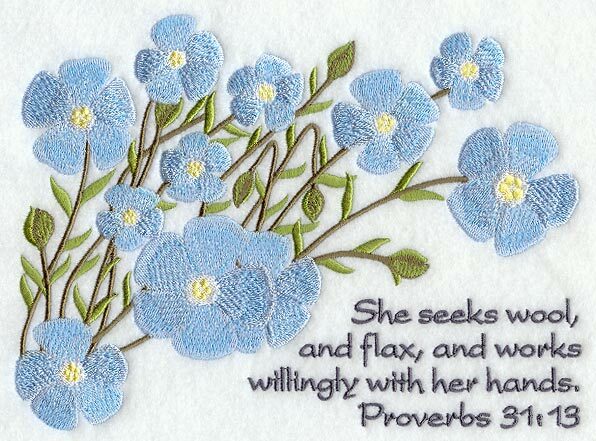 Proverbs 31:13-14 informs us of the woman’s work. She worked with wool and flax making clothing, blankets. She is compared to merchant ships bringing her food from afar, trading at the marina. Clearly she worked, and worked hard. Does it matter if she worked for someone else, worked in a storefront or worked from home? I have never understood the debate we create – especially at church. Where and how we work is not a reflection of our spirituality. Who we are at work or at home or at church is a reflection of our spirituality. Whether or not we engage in the debate, judging other women for their choices, their efforts, their calling is a reflection of our spirituality. Taking a side, defending our choice, by judging others is a reflection of our spirituality. The Proverbs 31 woman lived in a very dark time for Israel. Life was hard, resources were few and theft/plundering was common. This woman of faith didn’t spend her time contemplating which “camp” of women she wanted to align herself with. This woman of faith kept her eye on her priorities. She knew she must bring good to her husband and family (vs 11-12). She went to work. She was industrious. Somehow I don’t think this woman afforded herself much time for idle talk, games of Bunko, supper clubs or mani/pedis. She was too busy seeing the needs in front of her, working to meet those needs and keeping her focus on God for sustenance, strength, and hope. She struggled little with insecurity, not because she was proud, but because she kept her focus on God, His precepts. She spent little time comparing and instead focused on serving any and all she could influence. She focused on having excellent character, wisdom, skills and compassion. These verses, more than any others in this passage, convict me. I so often fall prey to looking around, comparing my life to others, allowing the comparison game to drain me. Fatigue sets in and my industriousness wanes. In the end I hurt myself, my family and sometimes those around me. My words become harsh. Discontent can drive unnecessary spending. My priorities shift and I become more important than He. As women of faith can we see past a list of “to do” items in Proverbs 31 and really see the passage for what it is? It is a description of a woman who found her worth in God. It is a description of a woman who focused on her God, her family and her community – in that order. It is the description of a spiritually, physically and mentally healthy woman. Let’s put down our judgement. Let’s pull away from the debates. In fact, let’s agree there is no debate. We work. We seek to be industrious, trustworthy and compassionate. We keep our eyes on God, we see needs around us and we work. I loved this so much that I shared it on social media. It’s such a struggle not to compare ourselves…thank you! Thank you for sharing. I love knowing each time I open these passages God teaches me something new and with each season of life we enter, we gain more wisdom.